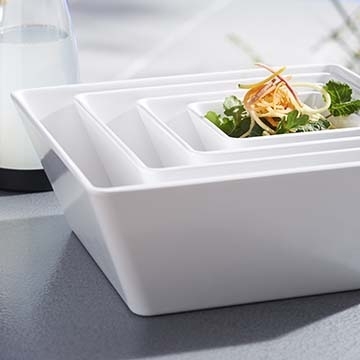 Durable and stylish, Steelite Quadro melamine is an excellent addition to any tabletop or buffet. These sleek, square, bright white bowls are perfect for dips, sauces, salads and more. Virtually indestructible and lightweight, Quadro makes service easy on staff and easy on your bottom line. Make a smart, long-term investment for your foodservice operation.